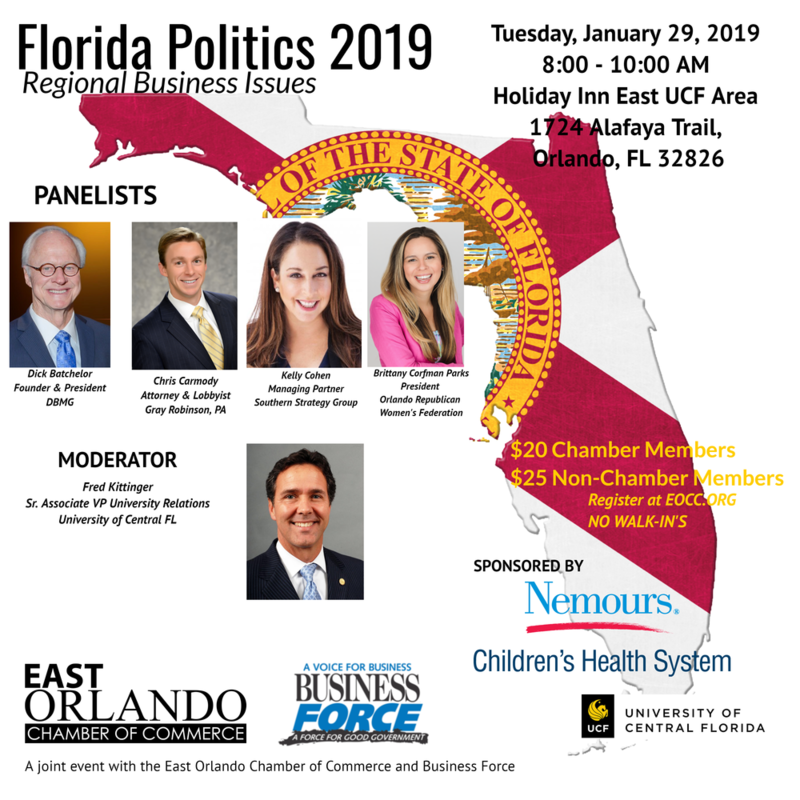 Florida Politics 2019: "A Preview of the 2019 Florida Legislative Session"
Hear from local lobbyists to inform you on issues our state legislature will be adressing and how these decisions will impact your business, industry and community. A joint event with the East Orlando Chamber of Commerce and BusinessForce. *Sponsorship opportunities are available. Contact the eocc@eocc.org or call 407.277.5951 for more information.